Kicking up mud and dirt, the boys' team takes out from the gate at the start of their race. 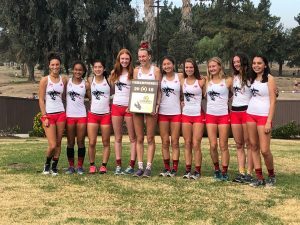 Running in the mud following the previous day’s rains, the girls’ team placed second and the boys’ team placed fifth in the California Interscholastic Federation Division IV Cross Country State Finals on Nov. 24. 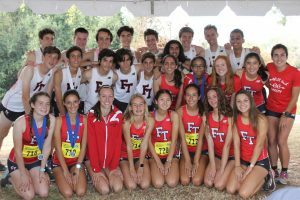 It’s been five years since the inaugural year of sports at Foothill, and the boys’ and girls’ cross country teams have qualified to race at the state meet in Fresno, Calif. every year. 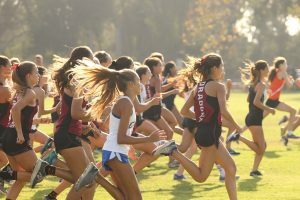 Last year, the girls’ took first and the boys’ took third. Assistant coach Jason Dinkler believes the team’s performance to be “fantastic.” Although he thinks the team “may be a little disappointed in their place,” he believes that they performed “really well” individually. 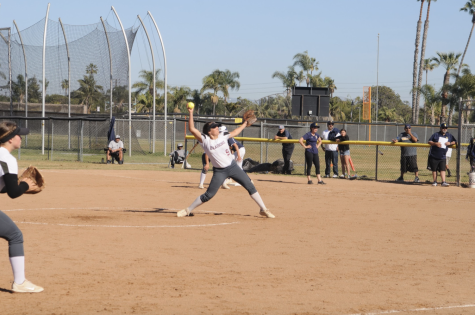 Brooke Secreto moves down a slight hill. 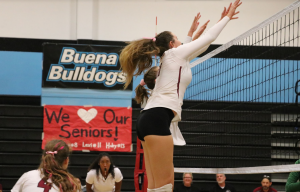 The girls’ came through with Lauren Kearney ‘19, followed by Brooke Secreto ‘21, Hana Vrablik ‘19, Hannah Dearman-So ‘21, Blythe Blakeman ‘19, Kennedy Gomez ’19 and Addison Munroe ‘20. 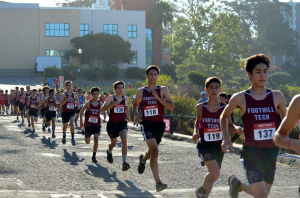 The boys’ crossed the finish starting with Henry Pick ‘19, followed by Oliver Pick ‘21, Joshua Villasenor ‘21, Finn Blackler ‘21, Jason Messner ‘19, Zen Li ‘21 and Daniel Montes ‘19. 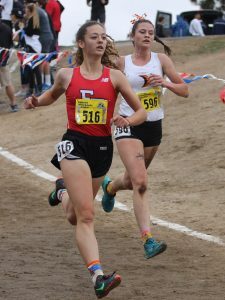 Earning special recognition and a medal, Kearney was in the top 10 runners for her race for her placing eighth and running 18:17.6. 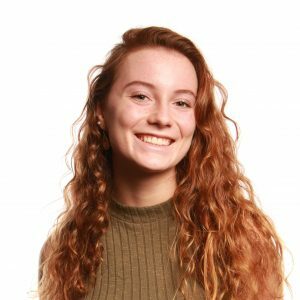 “It wasn’t exactly the time I wanted, but I think this was definitely like a good way to cap off my senior year,” she said. 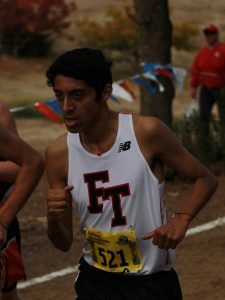 Daniel Montes runs, wearing his necklace from the “Buttons for Buddies” club. Secreto is one of the younger runners who Kearney mentioned. 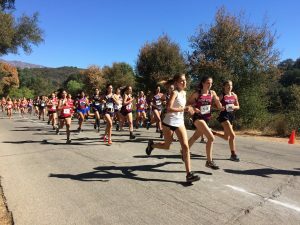 Second among Foothill’s finishers, she placed 26th overall with a time of 19:06.5. Secreto shared that the beginning of the season was “tough” for the team, as many endured illnesses, injuries or both. 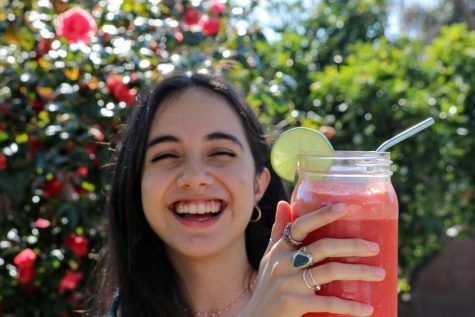 She had a rolled ankle at the beginning of the season and was out for a week, but she, along with the rest of the team, only became “really serious” since. Running 15:33.3, Henry Pick placed fourth in his race and improved his personal record at this course by approximately 20 seconds. 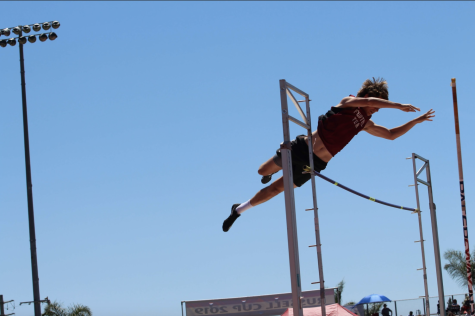 Henry Pick has seen Oliver Pick’s running talent grow “tremendously” in their time on the team together. 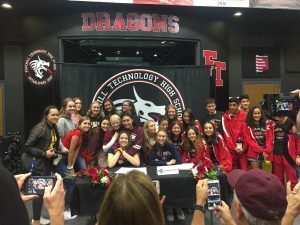 “He’s crushed some of my times when I was a sophomore and it’s exciting to see somebody—a family member especially—out there doing your—carrying on the legacy,” Henry Pick commented. 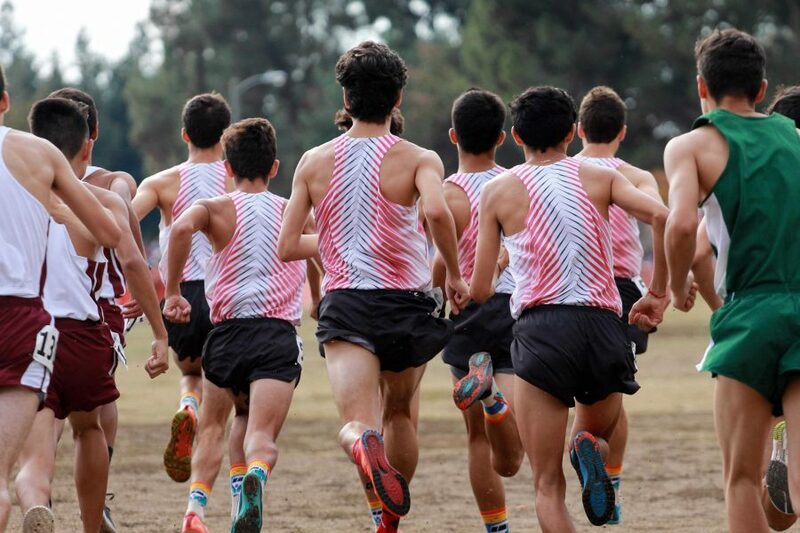 Click to see the boys’ and girls’ official times and standings. 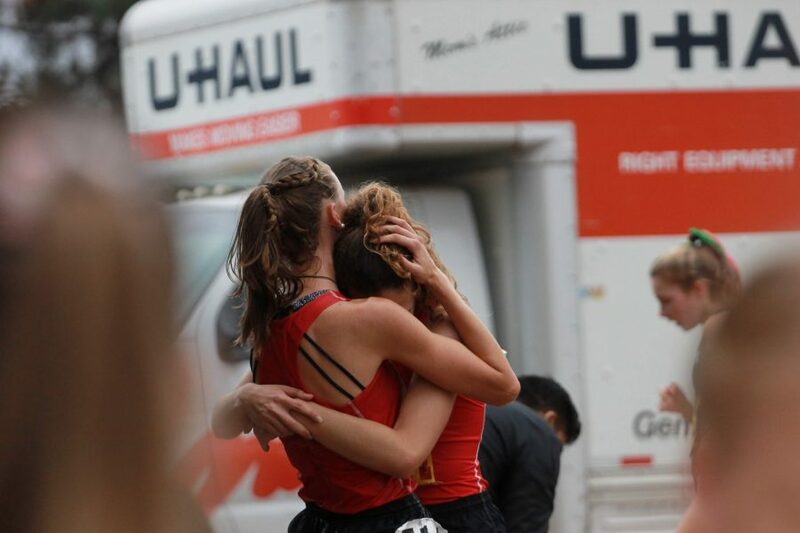 Lauren Kearney and Brooke Secreto hug after crossing the finish line. 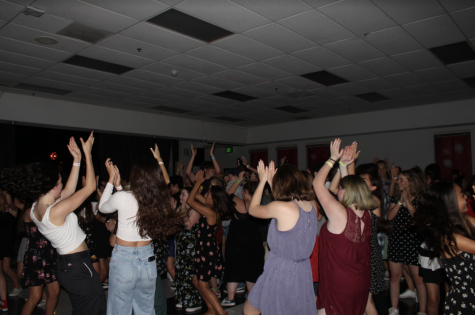 Editor’s Note: Blythe Blakeman, Jason Messner and Hana Vrablik are staffers for the Foothill Dragon Press; they were not involved in the reporting or publishing of this article.